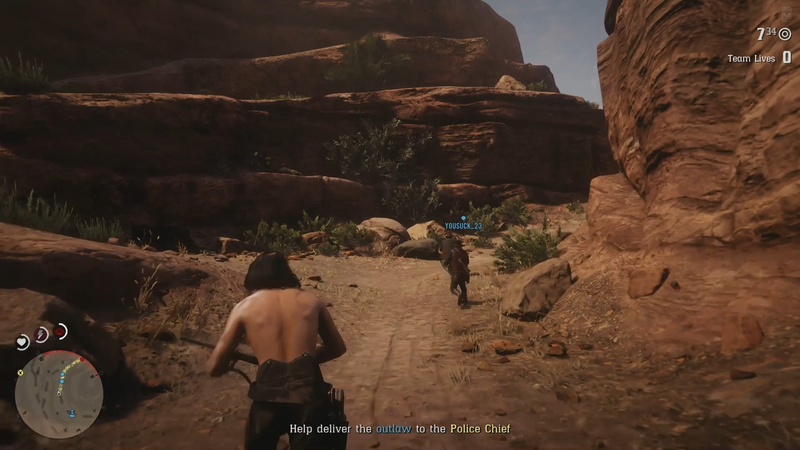 In Red Dead Online you are tasked with helping out a few sheriffs throughout the world. One sheriff you will help out is the Police Chief of Blackwater. 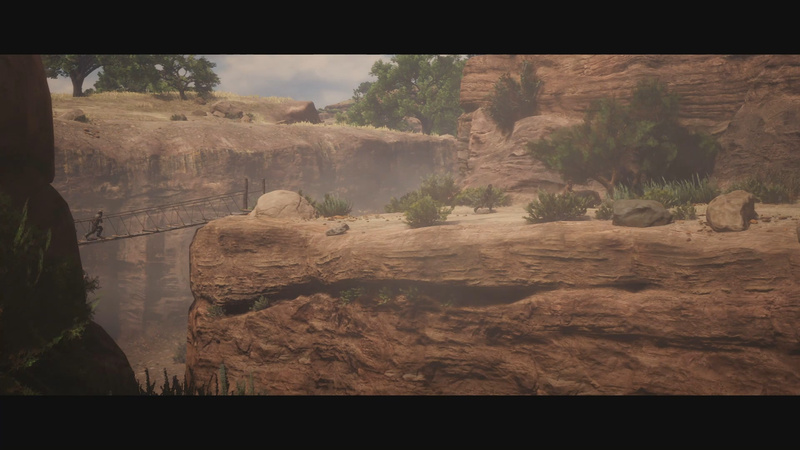 The Police Chief of Blackwater can be located in Pike’s Basin just northwest of Macfarlane’s Ranch. Meeting this sheriff will trigger the If The Hat Fits… mission. Below is our If the Hat Fits guide, use it to complete the mission. 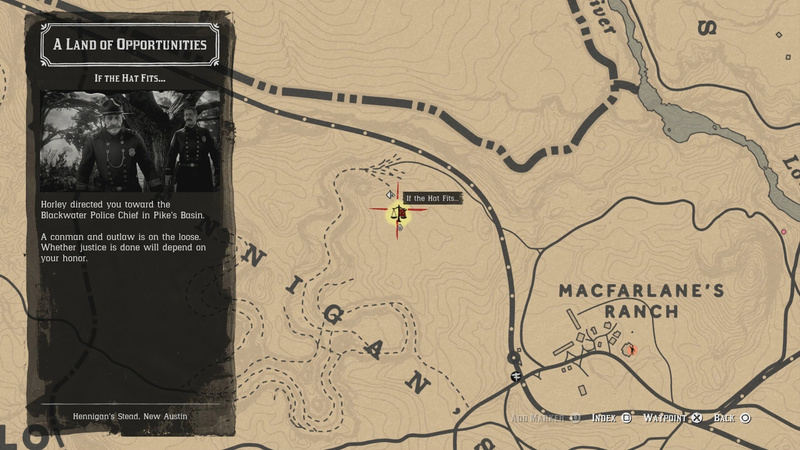 You can start the If the Hat Fits mission near the Macfarlane Ranch. A conman and outlaw is on the loose. Whether justice is done will depend on your honor. This mission has a required player number of 2 – 4. At the start of this mission make your way to the camp where the conman is hiding. The smooth talking conman the Sheriff wants us to take out is located at a camp in Pike’s Basin. Your first mission objective is to reach the camp. 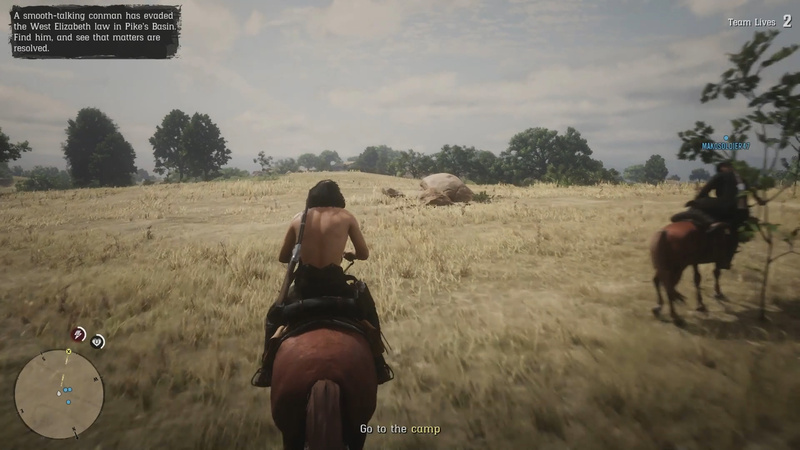 The camp can be found to the southwest of the starting mission location. You can go down into the basin or stay up top to pick off the enemies. Regardless, make your way to the camp to trigger the next objective which is to take out the guards protecting the conman. If you want to stay out of harm’s reach shoot from the upper ledges of the basin. Once all the enemies are taken care of, go down to the conman or send someone in your team down to hogtie him. 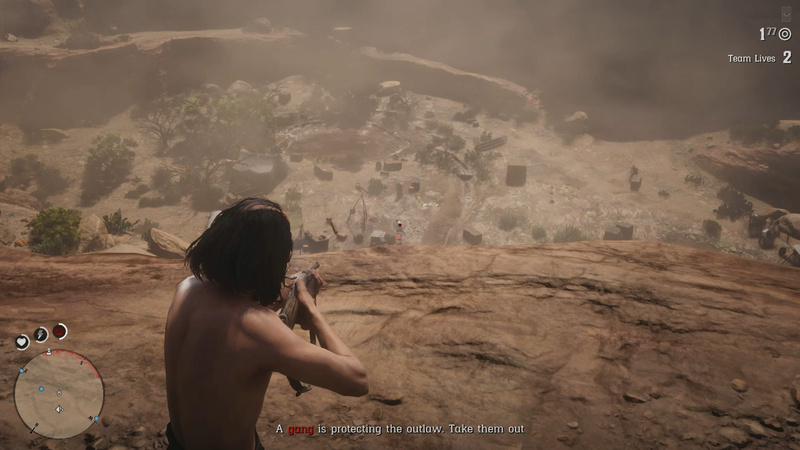 Once you reach the camp you will be tasked with taking out the gang that is protecting the outlaw. If you want to make things easy and safe for yourself, engage from the upper are of the basin rather than running down immediately. With the high ground advantage is it fairly easy to pick off the enemies and stay safe at the same time. Once you’ve cleared out the enemies make your way down to the outlaw. When you hogtie the conman a number of enemies will rush into the valley. With the conman hogtied you will then be tasked with delivering the outlaw to the Police Chief. While this sounds easy it is at this moment a cutscene triggers and a number of enemies rush down into the valley from above. 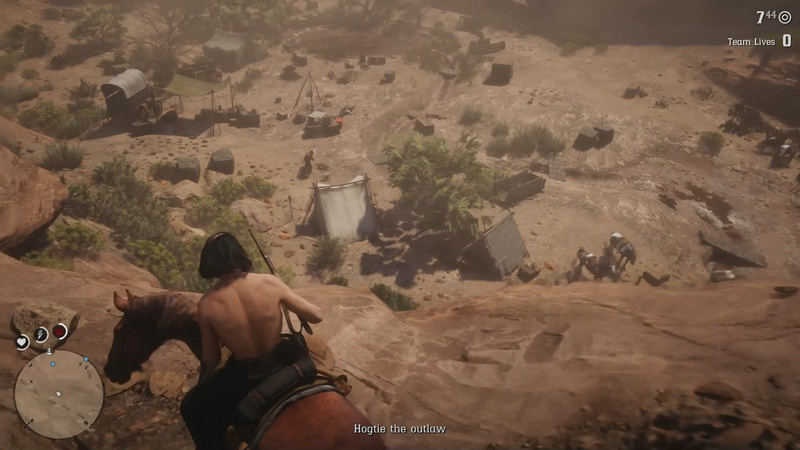 Kill these enemies and then mount your horse and follow the mission marker deeper into the basin. As you are riding through the basin you will reach a point where you have to proceed on foot. Do this until you reach the campsite (watch out for enemies). If you help the conman he will lead you to some cash along the way to the Police Chief before he departs. Regardless of choice the last objective of this mission is to ride to the Police Chief with the conman (or body). Once you do this you will complete the mission. Anything to add to our If the Hat Fits guide? Let us know in The Pit below.